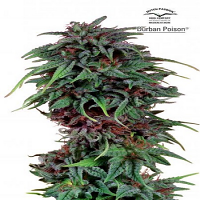 THC production is very good at 20% or more while CBD is low at 0.34%..
Black Devil's O.G. 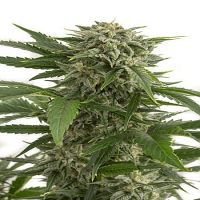 Feminized Cannabis Seeds by Lineage Genetics Seeds: Black Devil's O.G. 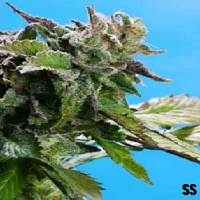 is a high-yielding and high-THC strain that is 75% indica. 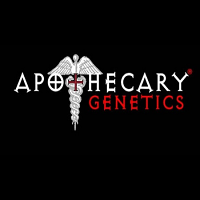 Its parents are Lineage Genetics' own Black Zombie crossed with an O.G. Kush. The result certainly takes the O.G. Kush up another notch and its buds taste every bit as good as they look. Black Devil's O.G. 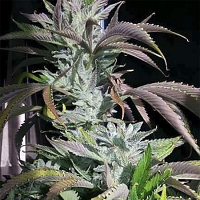 is a medium-sized plant and one that is very easy to grow, demanding no great horticultural experience or skills to harvest a successful crop of dense, resinous buds. All that is really required in terms of extras is a good air-filter arrangement as it is a very high-odour strain. 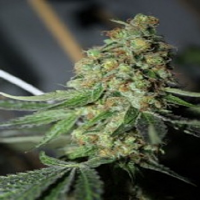 Indoors flowering will take 8 - 9 weeks to finish with great yields between 550 - 650gr/m2 expected. Outdoors it is best restricted to warm climates such as that of the Mediterranean unless the grower has access to a greenhouse which offers more protection in less benevolent climates. Outdoor plants should yield 700gr. or more each with harvest taking place during October in northern latitudes. THC production is very good at 20% or more while CBD is low at 0.34%. The effect is potent and somewhat cerebral and this feeling evolves into a more relaxed sensation.